When you consider the sheer size and weight of a semi-truck and other commercial vehicles, it is easy to understand how an accident with such an object would lead to catastrophic injuries. Even at slow speeds, large trucks are extremely dangerous. A collision with a truck that weighs 10,000 pounds or more and a passenger vehicle that averages 2,000 pounds means the passenger car would absorb the weight of that semi-truck. Therefore, the individuals in the passenger car are more likely to suffer serious, if not fatal, injuries compared to that of the truck’s operator. Per the Insurance Institute for Highway Safety, one out of ten highway deaths involves a crash with a large commercial truck and a passenger vehicle. The death is usually that of the passenger car, while the semi-truck driver often walks away with minor injuries. Today, more semi-trucks share the road with passenger vehicles than a few years ago. After all, local interstates carry these semi-trucks to meet the demands of consumers. As the demand grows, and it will, the number of semi-trucks on the road is only going to increase. The biggest problem for commercial truck companies is that they have more demand than they do qualified drivers. This forces them to hire inexperienced operators or drivers with poor history on their safety records. Furthermore, they pressure their drivers to carry on operations regardless of how long they have been driving, leading to fatigued driving incidents. The heavier and longer the tractor trailer is, the longer it needs to stop. This is the primary reason why these accidents occur. The semi-truck does not have adequate space to stop safely, and they strike a vehicle. Underride accidents are also occurring on the highways in Georgia. These occur when a smaller vehicle travels under the semi-truck. Because commercial trucks have massive ground clearance, lower-riding motor vehicles can easily slip underneath. Therefore, more manufacturers of semi-trucks are installing rear underride guards, which supposedly stop these types of incidents. However, not all guides meet the criteria, and many guides are only designed for slow speed impacts – not highway speed levels. The costs of a truck crash are extensive. They include medical expenses, emergency services, lost productivity for the truck company and the passenger vehicle, fuel consumption, and higher emissions. 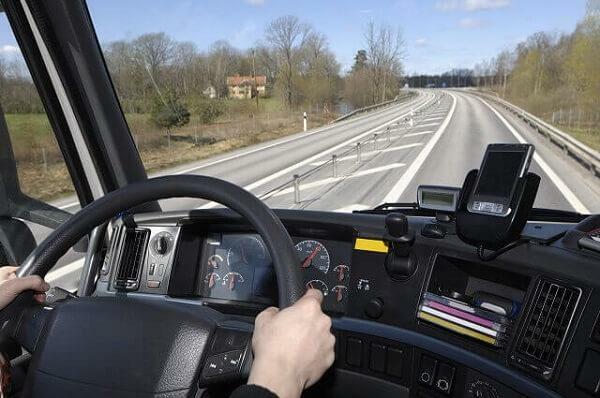 What Can You Do if You Are Injured in a Semi-Truck Accident? If you or a loved one is injured in a semi-truck crash, make your first call to Van Sant Law,. We are here to serve as your advocates and ensure that you receive compensation for your injuries. Call us today at 404-991-5950 or request a consultation online.